An extension to the park running through New York City’s Hudson Yards development could become the most expensive park per acre in the history of the city. 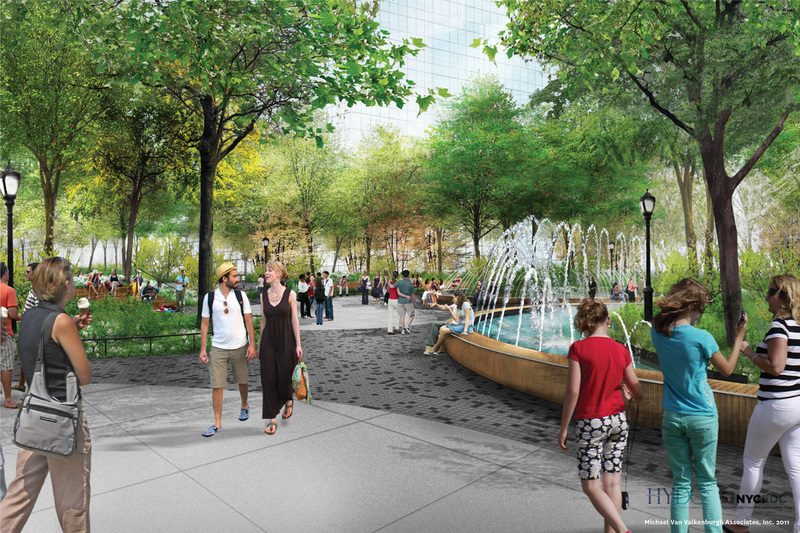 As Crain’s reported last week, the new section of Hudson Park and Boulevard will cost $125 million per acre. The extension will cost $374 million total. For reference, the city’s next most expensive parks per acre were Bushwick Inlet Park at $54 million per acre, and the High Line at $36 million per acre. The sky-high cost is apparently a result of real estate prices. The city has to buy all of the property from private owners, and it will have to cover sunken railroad tracks that run under the site. The park lies between 10th and 11th Avenues and currently runs between 33rd and 36th Streets. The extension will go up to 39th Street. Hudson Yards, which calls itself “the largest private real estate development in the history of the United States,” covers 14 acres of Manhattan’s West Side, covering former rail yards with almost 20 million square feet of retail, office, and residential space. The first phase of the development, which includes towers designed by DS+R, SOM, and KPF around a public sculpture by Heatherwick Studio, is nearing completion, and some of the spaces are already occupied. Residences in the development are largely for the super-affluent, and the neighborhood more generally is booming with construction catering to the city’s wealthiest. Michael Van Valkenburgh Associates designed the park spaces, which extend northward through the center of the development’s site. 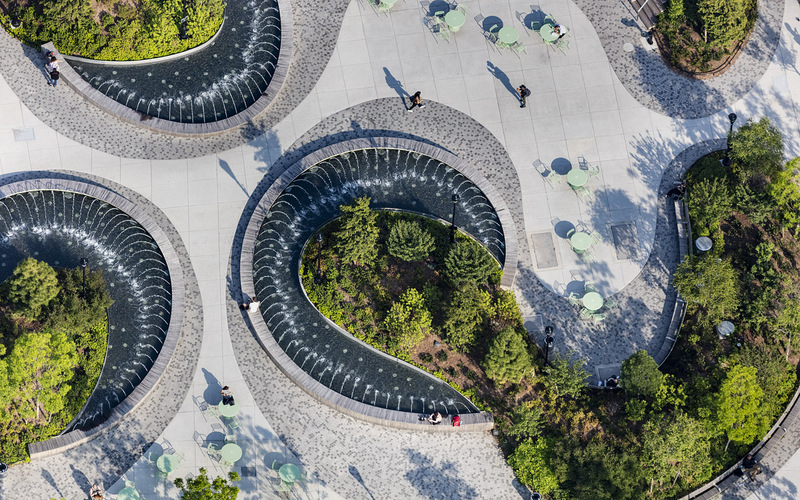 The relatively-straightforward design creates a central “greenway and boulevard” with a mix of paving, fountains, and plantings. The park’s extremely high cost has come under criticism as the rest of the city’s park system has struggled to find funding for basic maintenance and operations. A report earlier this year painted a dire picture of the NYC Parks Department being underfunded and overburdened. 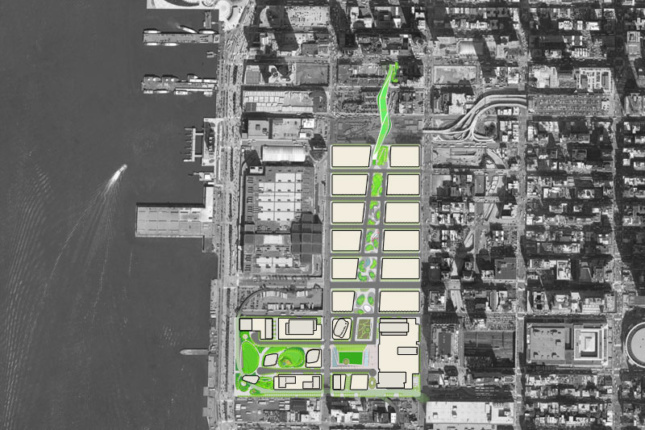 The city’s Community Parks Initiative, an effort to upgrade 65 parks across the city, has a budget of $318 million, less than what the city will spend on the Hudson Boulevard Park expansion.